Our Goats Milk lotion has been formulated for use on the hands and body. Use to ease aches and pains while also nourishing the skin and helping to sooth skin irritation. 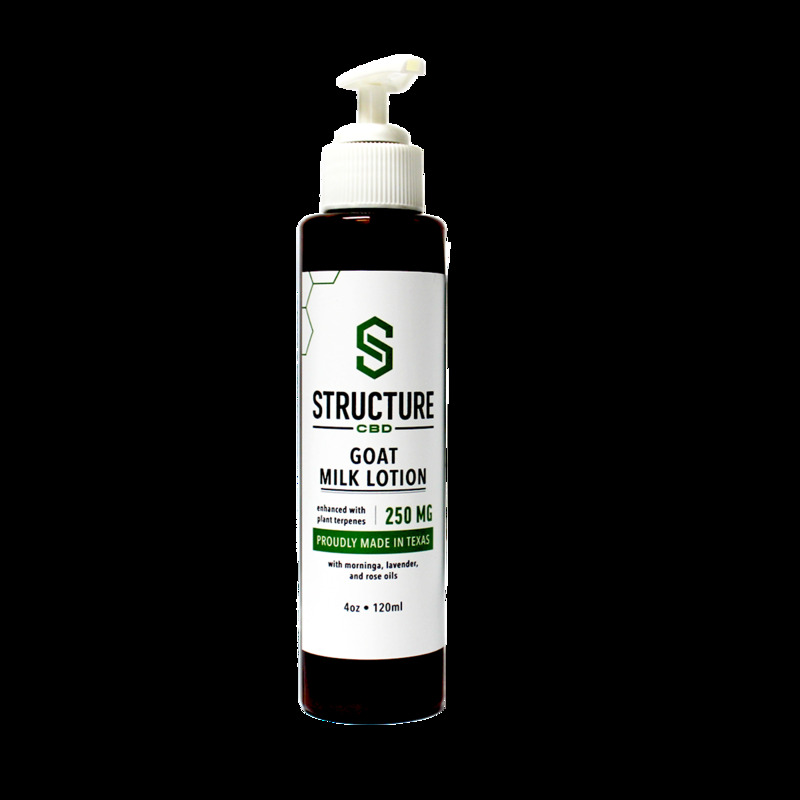 H20, Goats Milk, Aloe, Avocado Oil, Shea Oil, Grapeseed Oil, Moringa Seed Oil, Lavender Oil, Peppermint Oil, Meadowfoam Seed Oil, Coconut Oil, Steric Acid, Emulsifying Wax, VG USP, 250MG 99.8% Pure CBD, Plant Terpenes, Sodium Hydroxymethylglycinate, Phenoxyethanol, and Caprylyl Glycol.